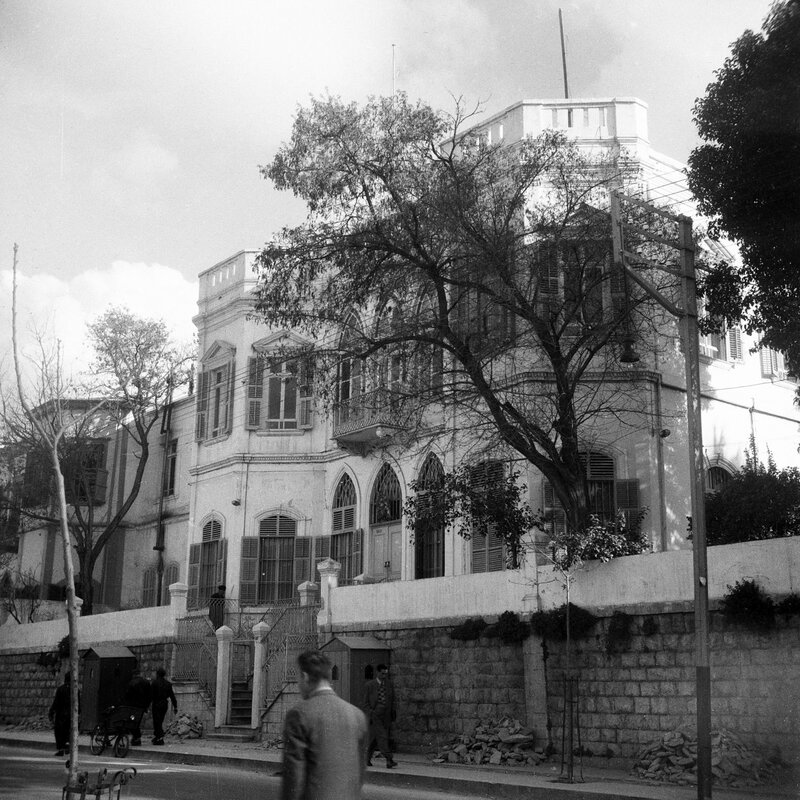 From at least 1951 (and perhaps since pre-war) until 1980, the residence was a large old Turkish style leased house at 80, Rashid St, Muhajirin. 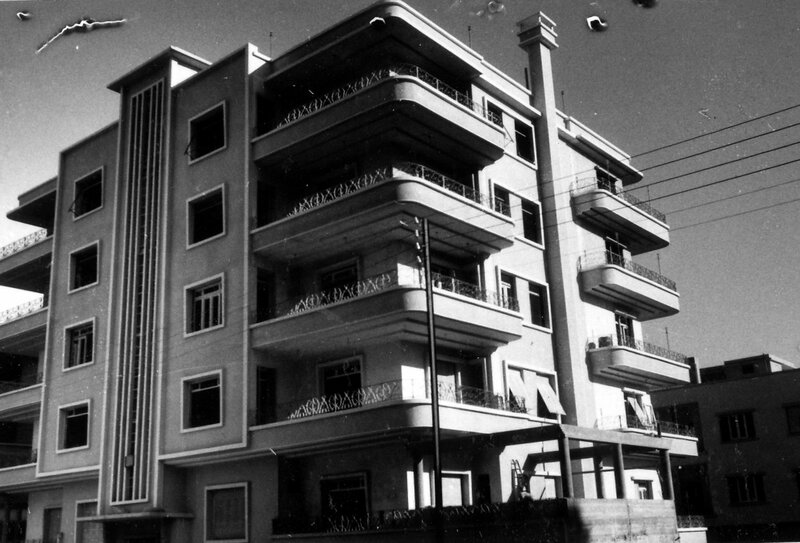 In 1980, the residence moved to the Hakki House at 81A Al Farabi Street in Eastern Mezzeh, an uninspiring 1960s building bought for £340,000 and then extensively improved. Since 1962, the offices have been leased in converted flats on the top floors and in the basement of a five-storey block called the Al Kotob Building on Mohammad Kurd Ali Street in Malki. Some of the rest of the building is leased as staff accommodation. The building overlooks the Abou Roumaneh site. Spears recommended in 1944 acquiring a site on which to build offices and housing for all the UK staff. Eden authorised him to make enquiries but cautioned against obtaining a site free of charge for fear that the Syrians would ask later on for reciprocity of treatment in London. By 1946 the Treasury was in agreement with this proposal, partly because, as the result of military disposals, it was holding several million pounds of non-convertible Syrian pounds. Kenneth Judd, the Ministry of Works architect in Cairo, visited Damascus in January 1947 and took an option to buy about seven acres, of mainly agricultural land at Bustan-el-Jurn in the Abou Roumaneh District (Plots 3746-9 and 4003) from the Ayoubi family. The purchase went ahead in 1947 for £76,000. Judd began producing layout plans for the development of the site although no funding was in sight and London could not decide what should be built on it. 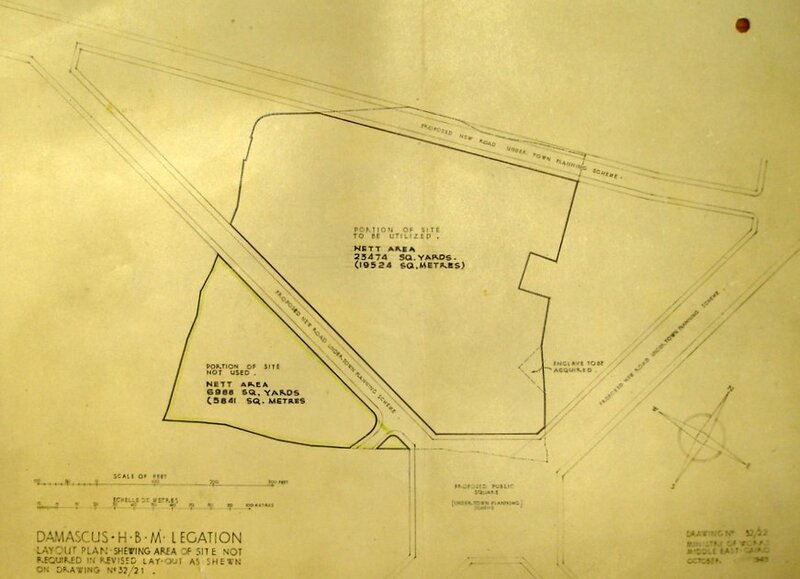 Part of the site was then cut off by a new road, effectively reducing its size by several acres without compensation. The construction estimate in 1952 was £325,000. In 1954, the Syrians began cutting down trees on the site. There was a chance to sell the site in 1955 at a good profit but the decision was taken to hold on to it. During the 1960s and 1970s several attempts to embark on development were frustrated by the Syrian government. In March 1984 about 60 soldiers moved on to the site and pitched tents, bulldozed a road and laid tarmac for a lorry park. The ambassador objected to the Ministry of Foreign Affairs and at the end of June the military evacuated the site. The area had apparently acquired particular sensitivity for the Syrians because of its proximity to the presidential palace. As a consequence, possession of the land was, in practical terms, ceded to the Syrian Security Forces. In the 1980s, attempts to negotiate with the Syrians an exchange of sites with or without some balancing financial compensation came to nothing. Location drawing of Abou Roumaneh site, 1949.